So, its winter – and you find yourself reaching for those enticing, calorie rich warm foods and eating meals that in summer, you wouldn’t even think about consuming. You might be interested to know however, that it is a physiological response – and not all mental. 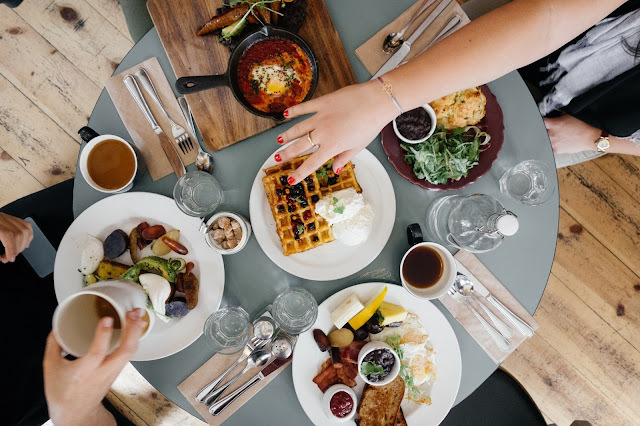 From a physiological point of view, eating is a source of energy, and in winter when our body temperatures are lower, we seek out food that will warm us up. 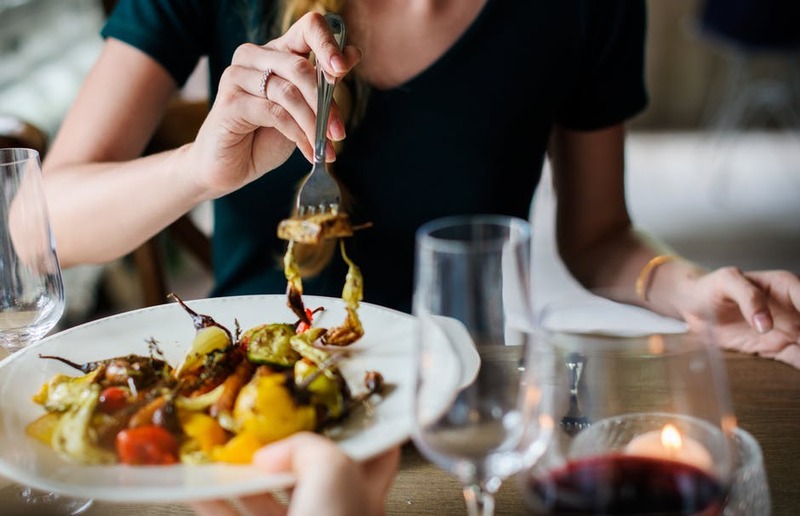 To get a little technical (this is one you can pull out at your next dinner party), experts link this tendency back to the thermic effect of food (TEF). To put it simply, the TEF is the amount of energy our bodies expend to digest, store and use the food we eat. When the environment is cold, our bodies are telling us to seek out food that is larger, higher in calories and warmer so it takes longer to digest, keeping us satisfied and to help with heat regulation. From an evolutionary point of view, it makes sense, doesn’t it? Back in our caveman days, when the colder months were upon us, food would have been more scarce and harder to hunt. Increasing our intake of food so that we could store some fat and go for longer periods of time without needing to hunt again, would have ensured survival. But we aren’t cavemen and women anymore – so how can you give your body the food (and warmth) it needs in winter to stay satisfied, get your recommended daily intake of nutrients and not pack on the pounds? The last thing you need to be worrying about is trying to lose that weight in time for summer, by adopting a fad diet which is not only unhealthy, but also unsustainable. It may seem obvious, but staying hydrated is important and we tend to drink less water in winter because its cold. 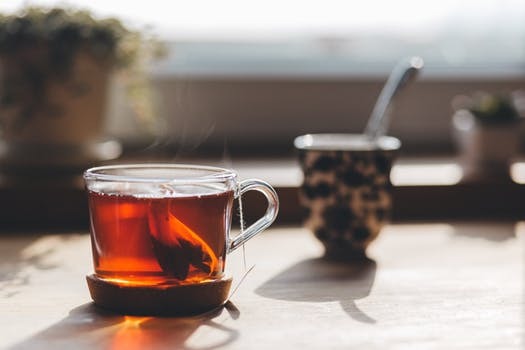 Opt for warmer drinks such as herbal teas and even soups. Soups are a great meal option in winter, especially if they are homemade. You know exactly what is in them, they can be relatively low in calories, and high in nutrients and they can help to hydrate you. That’s a winning combination if you ask me! Try a vegetable soup such as minestrone, pumpkin, potato and leek, or tomato. Or opt for a more substantial soup for your lunch or dinner such a homemade laksa, pho, or a hearty chicken and vegetable. Get creative with your roast veggies, they are fantastic in winter. Once you’ve mastered this skill, they are the perfect side to any meal, seriously. Brussel sprouts, Dutch carrots, eggplant, sweet potato, and asparagus drizzled with olive oil, salt and some thyme is the most perfect combination! Veggies are also good for adding bulk to meals without increasing the calorie content too much but still upping your nutrient intake. You could substitute rice in curries, roasts and stews with mashed sweet potato and carrot, cauliflower rice or mashed potato. Or have Zucchini noodles in pasta dishes or stir fry’s. One of the (many) benefits of substituting refined carbohydrates for vegetables in dishes is that you won’t feel sickly full and bloated if you accidentally over indulge. Making your own comfort food is a great way to satisfy those cravings whilst ensuring your meals aren’t overloaded with salt, sugar, and preservatives. Slow cooked meats in stock, wine and herbs is ace, and doesn’t have any added nasties. Comfort food is forgiving as well – if you forget to add an ingredient or cook it for a little too long, it’s not a show stopper like some other meals. Make your own sauces, use low fat coconut milks in curries instead of full fat, or even replace pasta layers in lasagne with low GI wholemeal wraps! I love to wrap a cheap cut of meat in aluminium foil and slow cook it for 5 hours on high (8 hours low), it makes the tastiest pulled meat, better than any I’ve had whilst eating out. I get it, there’s nothing more comforting than having a warm dessert in winter. It reminds you of your childhood when your nana made the most delicious apple pies and you paired it with a full fat custard or ice cream. Or that bread and butter pudding, berry Danish, or rice pudding to fill your belly before bed. I’m not telling you to stop having these desserts for the rest of your life, but you don’t have to be eating them every day, especially if you don’t want to gain winter kilos. There are so many healthier alternatives at the touch of your fingertips – aka google! Make your own, with less sugar and pastry such as baked apple or pear with a dollop of low fat Greek or natural yoghurt, topped with a sprinkle of cinnamon. Yum! Remember that life is worth living, and food is worth eating! Don’t beat yourself up if you go out for dinner and indulge in a three-course meal, with that apple pie for dessert. Own it, enjoy it, and move on. You’re less likely to over indulge constantly if you eat mindfully. You’re fabulous and beautiful just the way you are! With these options, I say – comfort foods for the win!